This was 1988. There were no digital cameras for instant viewing (and, praise be, instant deletion). The only instant photographs at the time came courtesy of Polaroid, with their packages of square film and box-like cameras, and slid out of the front of the machine on shiny thick card that everyone huddled over and watched develop. But they tended to be party cameras, appearing at Christmas, birthdays, engagements. You captured your holiday photos on a proper camera, one you had to load and feed film into, then unload and drop off at a chemist’s shop to be developed and the prints collected a few days later. Tony had absolutely no memory of our photo session, or even the haziest recollection of the dressing up that preceded it. His face when I showed him the photo was, appropriately, a picture. 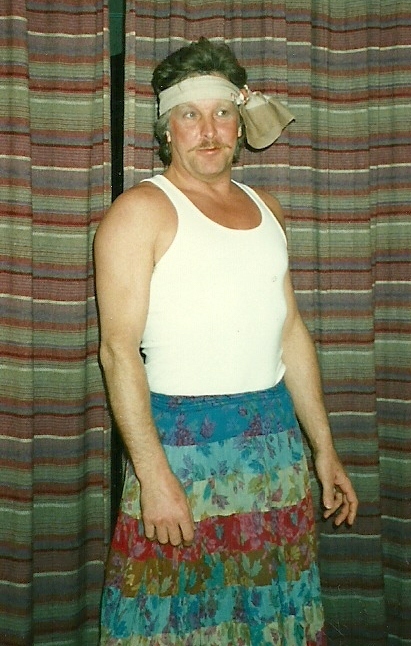 Not that he made a particularly good woman - muscled biceps, chest hair and a moustache aren’t the most winning of feminine attributes. ‘I remember feeling really relaxed. Kind of giggly,’ he said. And then, ‘Blods, you’re not going to show anyone that photo, are you?’ knowing even as the words left his mouth that his fate was sealed. Why does this memory push to the front of the queue when I start to write? It’s hardly representative of what we’ve done together during the last 26 years! What about the old barn we renovated? The time we went para-gliding in the Peak District, in the aptly named Hope Valley. Our move to Barcelona. The bookshop we opened. How we coped with illness, death. But no, a tipsy giggle after an evening of garlic mushrooms and grilled chicken is what arrives. But maybe it’s not so surprising: it’s a memory full of positive emotion and sensory detail: playfulness, silliness, laughter and touch. And why should there be a hierarchy of memories, my past categorised and filed under importance or triviality with the moments and events I’ve judged as having changed the direction of my life stacked at the top of the ladder ahead of the time, aged 8, I stared out of my bedroom window into a thunderstorm, worried about my tortoise, Toby, who was out there, somewhere in the garden, alone? So many different things make us who we are. The Malta memory has one other important ingredient for me too. Food. We went to Snoopy’s five times that week. The garlic mushrooms were rich and meaty and topped with melted cheese; the grilled chicken was juicy with a crisp and salty skin. And now I’ve opened that memory seam, there are more arriving, elbowing one another for room: at the Bar Boya on the stony beach at Cadaques on my 40th birthday with fat green olives and slices of the Catalan saucission fuet; at Chamonix trying to pierce the braised leg of a coq that must have been trekking up and down the Aiguille de Midi for bloody years; a filet, ‘Pittsburgh’ medium rare served by men in barbershop aprons at Ben Benson's in New York, that put butter to shame for its melt in the mouth quality. Over the last quarter of a century we have developed a ritual: French cheese, a good bottle of red opened earlier and left to breathe, crusty bread, olives. At least once a month we sit together in the kitchen of whatever house we happen to be living in; we talk and return to each other after travelling separately, physically and emotionally, in other areas of our lives. For an experience to become a ritual... the things involved must be few, so that their meaning is not diffused, and they must somehow assume a perceptible weight. They attain this partly from the reassurance of being "just so", and partly by already possessing the solidity of the absolutely familiar. Our ritual is not always an occasion of companionship, of reconnection. Sometimes there are difficult things to talk about, resentments and hurts to address. More than once one of us has stormed out, astonished that the other can be so selfish, opinionated, irrational. But 'the solidity of the absolutely familiar' keeps us returning to each other, with the best, and occasionally the worst, twenty six years bring to a table. We eat, we laugh, we cry. We remember. 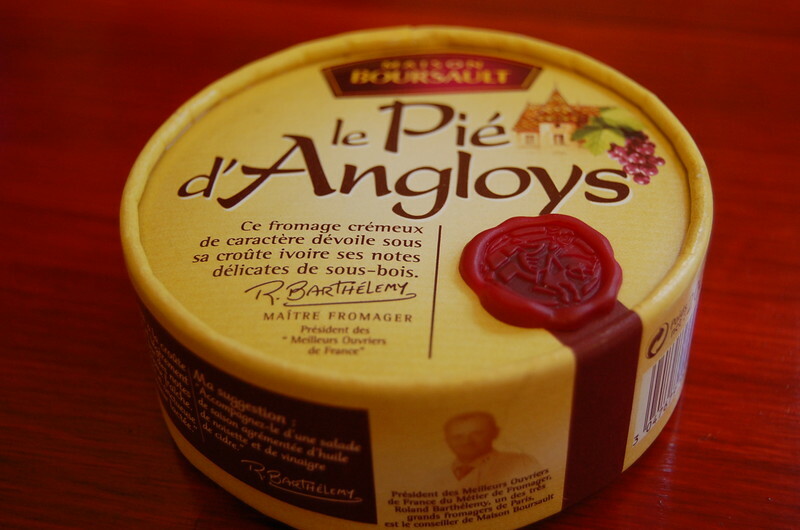 Since living in France we’ve each discovered a favourite cheese: mine is Brillat Savarin, Tony’s is Pie d’Angloys. Most of the time I remember to take them out of the fridge a couple of hours before we sit down, but on the occasions I forget I unwrap them and pop them individually into the microwave for up to 30 seconds. Cheese connoisseurs must be squealing at this but it works for me. Fig preserve is also good with both of these creamy cheeses – either black or green is fine, or red and white if you’re French (confiture de figues rouges ou blanches). 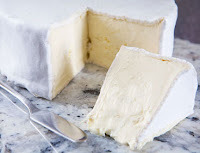 If you like really melty cheese try the following baked Camembert. The maple syrup adds a hint of sweetness that’s lovely against the stronger taste of the Camembert’s skin. Choose a good Camembert in a wooden box. I’ve used both pasteurised and un-pasteurised and they both turned out really well. So if you prefer to play safe, choose the former. Take the cheese out and remove any waxed paper and stickers and place it in a big enough square of tin foil so you can fit it back into the bottom half of the box and leave enough foil around the edge to loosely cover it. Pierce the top of the cheese with a sharp knife and push a sliver of fresh garlic into each slit – about a dozen or so should do it. Sprinkle with a teaspoon of fresh thyme and drizzle over about a tablespoon of maple syrup. The real stuff not anything maple flavoured. Gather the tin foil loosely over the cheese and bake for 10 to 12 minutes in an oven pre-heated to 200 degrees centigrade. Dig in with a spoon and crusty bread. Charcuterie and cornichions go really well with this: here I have Parma ham, French Rosette, and a thickly sliced rustic ham from Corsica. Love that photo of Tony! And this post has made me very hungry for cheese (having just read your post about Crackerbarrel in the US and dreams) :) Yesterday I had Camembert on toasted brioche - it was good!